Clutch Cargo's is synonymous with good times in Pontiac! 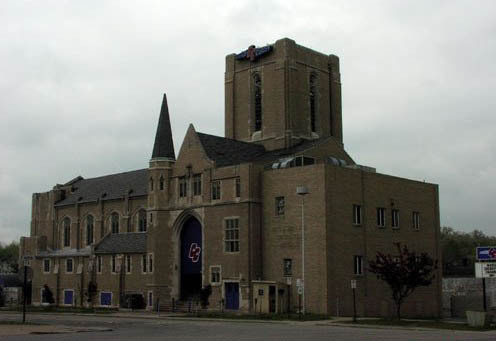 This nightclub is located in an old church, and the main reason that people make the trek to Pontiac is to see the live bands that play here. Everybody from hot local acts to the big time chart toppers have played here. Tickets are available at ticketmaster.com, and also at the box office at the venue Monday thru Friday from 10:00 AM to 3:00 PM. On the night of the show you can also grab tickets if there are any left. On the nights that bands aren't playing, it's just an awesome nightclub where you can party hard with your friends. The drink prices are pretty low and they're always good and strong! Believe it or not, Clutch Cargo's is also an incredible place to rent for your wedding! Unconventional is the keyword here, and if it sounds good to you, then you are probably the type (like us!) who can appreciate that! There is a dress code here, so make sure to look your best and check clutchcargos.com for complete info on what not to wear. Other rules you need to know about? Bring that photo ID so they can slap a wristband on you if you're planning to drink alcohol. Camera rules are determined by the bands, but for those that do allow cameras, stick to the recommended disposable cameras or a point and shoot so you don't get turned away at the door! You can find Clutch Cargo's on Huron Street just west of Woodward.